The Advance Inn Motel in Niagara Falls, Canada offers great amenities and central location to all of the surrounding area. Guests will appreciate the close proximity to the Falls, restaurants, shopping and many other major attractions. The Advance Inn is within walking distance of the world famous Niagara Falls and family friendly Clifton Hill. Guests of the motel are also only a short drive away from the Canada One Factory Outlet Mall and all the dining of Lundy’s Lane. The clean, spacious rooms are sure to please guests of any kind. 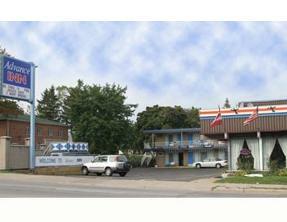 The Advance Inn Motel provides a variety of accommodations with standard rooms, giant family rooms and jacuzzi suites. All guestrooms feature free internet access, individually controlled air conditioning, Cable television, refrigerator and a 4 Piece Bathroom.